The Chisels and Bits Mod main aim is to add a lot of new tools like Chisels, Chiseled Bits, Wooden Wrench, Bit Bag and much more. All of those tools will allow you to build unique buildings that you never created before by using this great mod. A major good point of this mod is that you will not need to have tons of resource packs or other mods installed in order to create new construction buildings. With the help of a Chisel and bit you will be able to practice your skills to make some really great designs by carving the blocks and make your own house style. 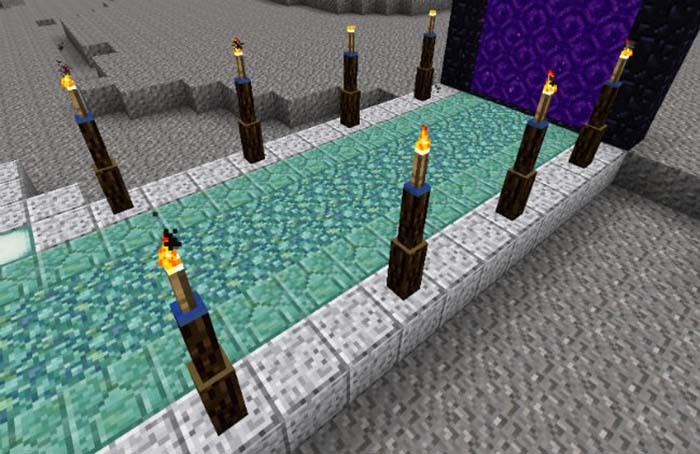 Because the Chisels and Bits Mod adds lots of chisels, each particular one will create different effect on the blocks, so you will need a bit of time to learn what each chisel can do but it is worth it because once you figured out everything about them you will be really surprised about what you will do into Minecraft by using the Chisels Bits Mod because the limits are endless so all you need to have is imagination and you can build things and a lot of decorations that never existed in Minecraft before. Your world will be more attractive even the outside or inside one because outside you can build different decorations for your garden or even you can use the Chisels to write on blocks your name or other words. And for the inside life you can cut panes of windows how you wish and other kinds that will make the life much more enjoyable.